The Royal Sandwich on TTK Road, Alwarpet started off with selling merely five kinds of sandwiches a day. Now the Royal Sandwich empire has more than five outlets under its franchise, and sells more than 2,000 sandwiches a day! If you are really on a tight budget, head to Royal Sandwich, where you can pick from over 50 kinds of sandwiches. You’d get to choose from usuals such as chutney, cheese, chicken, egg, and club, but go on, experiment a bit here. How often can you boast of eating a chocolate sandwich? Or even a gobi and paneer one! That too at only INR 50 (approximately). Some of the other interesting fillings include mushroom and cheese, prawn and mayo, paneer and khakhra, as well as chocolate ice cream sandwich. Yes, you read that right — ice cream sandwiches too! While not fancy, the sandwiches, considering the average price is INR 50, fills you up and is worth every penny you pay. The Royal Sandwich doesn’t compromise on the taste — with its magic green chutney and a mystery recipe; it has become one of the most celebrated street food joints in Chennai. 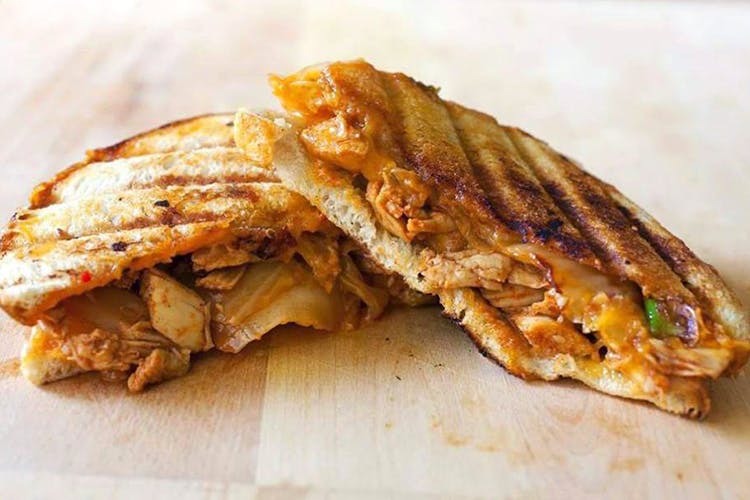 Fusion innovations such as the pasta sandwich and the Focaccia paneer grilled sandwiches are really popular among customers. They have also introduced pita bread and panini sandwiches. See why it’s become the epitome of street food in Chennai? Affordable, tasty and hygienic, what more can one ask for.